I have been writing fiction for a bit now, and I can recognize someone who really knows the craft when I see it. Not only did I love this story as a reader, but as an author, I learned a lot my example. The key to a good story is conflict, and this author has conflict in every sentence. Often this conflict is 3, 4, or even 5 way conflict. And the story was written seamlessly! If you want to read a real masterpiece, this story is it. Not much to say. The author wrote intricate and interesting stories with pro skills, and the narrator was the perfect man for the job! If you like good science fiction, by the standards of any time period, I recommend you give this book a go! A world made by the Eight Creators on which to play out their games of passion and power, Paradise is a sprawling, diverse, often brutal place. Men and women live on Paradise, as do dogs, cats, ferrets, goats, and horses. But dinosaurs predominate: wildlife, monsters, beasts of burden - and of war. Colossal plant eaters like Brachiosaurus; terrifying meat eaters like Allosaurus; and the most feared of all, Tyrannosaurus rex. I love dinosaurs, and I love science fiction, but I really did not care about this book. The characters to me came off as flat, and I did not care if they lived or died. There was a lot of random sexual humor, and it seemed like the book was trying too hard to be &quot;edgy&quot;. Honestly, maybe it will be your thing. The author clearly has talent, but this one just wasn't my personal preference. 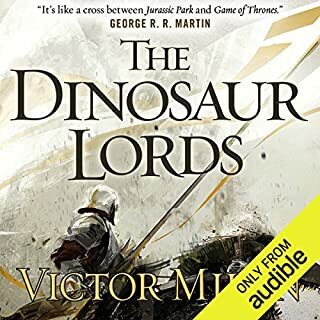 If you like Game of Throne, you might like this, but I have no interest in GoT, and this book did not catch my interest. 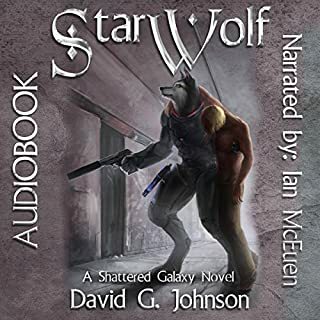 Molon Hawkins, a daring, free merc captain, earns his living navigating the dangerous borders between factions in the civil war that shattered humanity's vast star empire. For the former scout captain and his veteran command crew aboard Star Wolf, most contracts are milk runs. 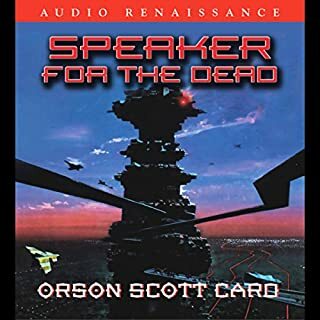 When a routine rescue mission goes awry, Molon finds his rescuee, Dr. John Salzmann, inextricably tied into a web of intrigue that threatens to upset the balance of power in the galaxy. I have to say that starting off I found the book to be overly campy. A few things happened that made no sense, and I put the book down for a bit. But then I talked to a friend who also read the book, and she encouraged me to keep going. The story became very complex with unexpected twists, and an adventure that swept me along. I could not put it down. I kept wanting to know what happened next! Ended up reading the entire book in three days, and was left off wanting more. Originally, due to the shaky beginning, I had no intention of giving this book more than 4 stars. 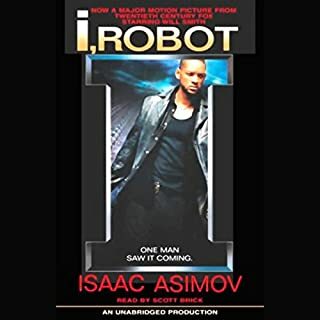 To me a 5 star rating is strictly for something on the level of The Martian or the book equivalent of The Matrix - something with deep philosophy and an engaging story that stands out. This book earned that 5 star rating. It was engaging and adventurous, bringing in many of the best elements of both science fiction and fantasy. This is why we read Indie. A few readers might be offset by the fact that many of the characters, both good guys and bad guys, hold to the Christian Faith. If you are rabidly anti &quot;Religion&quot; then this book may not be for you. May I instead suggest a book about Hercules or the Force? Not every book is meant for every reader, and that's okay! 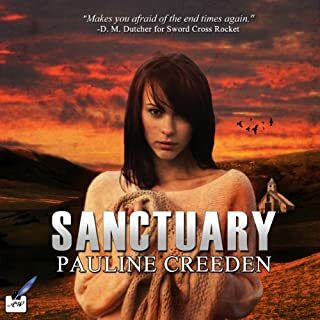 But for those of you who are open to a space opera that deals with spirituality, including Christian themes, then this book is definitely one that you should try out. The author explains what is happening well, so even young readers will be able to follow along. The only part I was confused about was keeping the &quot;Twitch&quot; and &quot;Voide&quot; characters straight in my head. So if you pay attention to their description at the beginning you will be fine. I intend to do this when I read the book the second time around in the next few weeks. Disclaimer: I think that it is proper for me to mention that I do know the author personally. That said, I strived here to rate the book on it's own merits. I am in the same author group as the author, however I think the book stands on it's own, and I highly recommend it to others. Every reader is different, and everyone has a different experience going into a book. Yours may be very different from mine, but I can definitely say that I enjoyed the adventure, and look forward to joining the bridge of Star Wolf again when the next book comes out! 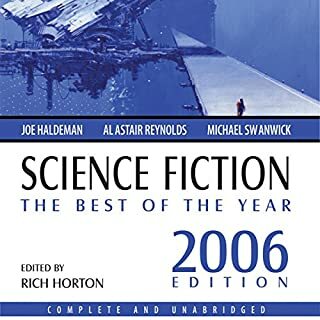 What did you love best about Science Fiction: The Best of the Year 2006? I loved this collection. Each story was unique, and really subverted my expectations. I was particularly intrigued by the short story of a lab mouse that had been made sentient. The small Narnia reference in that story was particularly charming (no spoilers). 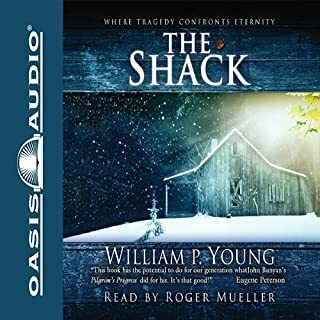 I found the final story to be quite depressing, but overall this was an amazing collection, and I hope that the rest of the series is available on audio format soon! I really enjoyed the story overall. The spiritual themes seemed to mix well into the story line, most of the time. This was definitely a sci-fi scenario from a woman's perspective, and I think it helped me to become a better writer. This is definitely a good book to get women into sci-fi, since it was written from a woman's perspective, and was well written. I am going to be requesting that the author do a sequel. I will be in-line to buy it. I read this entire thing in one sitting. I've never done that before. The book was intellectually stimulating. I think that everyone, Christian, Muslim, Jew, Buddhist, Agnostic, Atheist etc. should read this book. 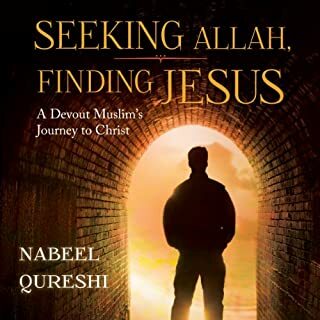 The book is a memoir about the intellectual and spiritual journey of a young Muslim boy in the United States and how when he goes off to college, he investigates his Faith intellectually with his best friend (a Christian named David) and how they delve into the Bible, history, theology, the Qur'an, and the Hadith and (spoiler) how during his journey, this young college student was given dreams and visions from God. Ender's Game was a lot better in my opinion. 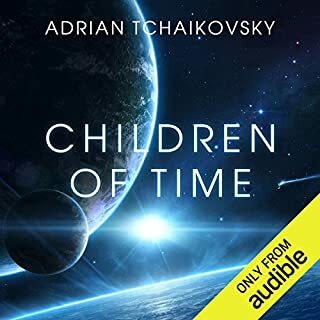 This book really didn't feel like a sequel as much as it did a different story that happened to take place in the same universe, with the same main character - only about 20 years older and ~3000 years later. The Hive Queen was the only aspect of this that seemed to be a continuation of the previous book. All in all, I think it was worth the read, it just wasn't what I expected from the previous book. The "piggies" were cool, but it is hard to take a race of tiny bipedal pigs seriously. I just bought the third book, and plan to read that soon. Do I recommend this book? Yes, I think that this will be a very interesting series and will give me a lot to think about for years to come. I might. The story was well written, and the performance was well done. Unfortunately the most memorable experience would be a spoiler, but it involves holding a queen. Which character – as performed by Stefan Rudnicki and Harlan Ellison – was your favorite? Ender - which might seem like the most obvious choice. The other characters were good too, but Ender was the main character, so it is not all that surprising. 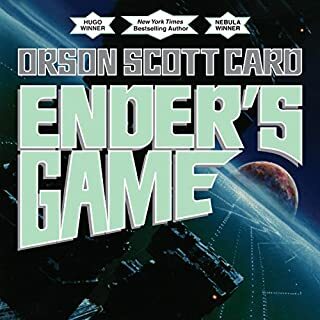 A cheesy one might be "Enders Game; Playtime is over"
I think that anyone who is serious about science fiction should most definitely read this book. This is an amazing book. I have yet to meet anyone who did not like this book who actually read it. A little bit of the theology was iffy, but very little of it. No book by man will ever have purfect theology. If anyone is dealing with hurt, I highly recommend this book. It goes deep into why there is death and suffering in a world created by a loving God. I recommend reading this book and reading about pain and suffering on the AnswersinGenesis.org web site. The two of them together make for an excellent study.